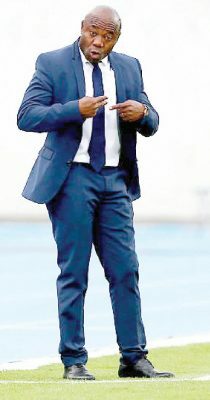 Tanzania’s head coach Emmanuel Amuneke has predicted that some of the bigger names could make an early exit from June’s Africa Cup of Nations. Tanzania has qualified for their first finals since 1980 and will face Algeria, Senegal and Kenya in Egypt. “Don’t be surprised if you see some of these so-called big teams packing their bags early in the tournament,” he said. “The small details will count during the tournament, but I like the hunger that my team has. “It is good Caf has adopted the 24-team system which gives chance to many other teams,” he said. “I trust in Amuneke and the players to continue doing us proud,” Wallace Karia the TFF President said. Tanzania beat rivals Uganda 3-0 in Dar es Salaam to qualify for the Africa Cup of Nations finals for the first time since 1980. Lesotho drew 0-0 in Cape Verde which confirmed Tanzania’s qualification as runners-up to Uganda in the group. It means four East African teams – Tanzania, Uganda, Burundi and Kenya – will play at the finals in Egypt.